Lancashire’s street lights will no longer be inspected at night when they are lit. Highways officers currently carry out inspections on a fortnightly basis during the darker winter months and once a month for the rest of the year. But Lancashire County Council says improved reliability of street lights means that the night-time work is no longer necessary. The authority is currently halfway through a programme to convert 125,000 street lamps - in every part of the county except Blackpool and Blackburn - to operate with LED bulbs. Every street is expected to have had the new technology introduced by the end of 2020. Cabinet member for highways, Keith Iddon, told councillors that the change was “an efficiency not a cut”. “We are looking at saving inspectors’ time,” he added. But Labour deputy group leader, John Fillis, said a consultation on the plan had attracted fewer than 100 responses. Of those who did respond to the survey, more than half agreed with the proposal to end after-dark inspections. Last month, it emerged that one Preston street was getting replacement bulbs after the new LED lights were found not to be providing sufficient light to the pavement. 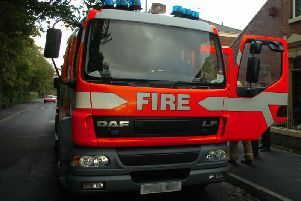 The problem, on Larches Lane, was because of the particular layout of the street, the county council said at the time. The authority will also move from testing its street lights and illuminated bollards every five years to once every decade, as part of a package to save almost £450,000 from the transport budget. A report presented to cabinet noted that the council “also receives information from members of the public who notify us through our Customer Access Service, our online 'Report It!!' tool and other sources”. County hall has committed to continue to respond to public reports of faults within five days. The conversion from orange lamps to white LED bulbs will cost the council £14m between 2014 and 2020. The Department for Transport has provided additional funding. LED technology is expected to be reliable for at least 20 years.